Your washer breaks in most inappropriate moments! Before calling the repair service, check if the washer is plugged in and also check the outlet for current. The washers may be harder to diagnose because of the special timing cycles that operate valves and motors that turn water on, spin the tub, drain water, and control the water temperature. A common issue with front load machines is not draining or spinning. 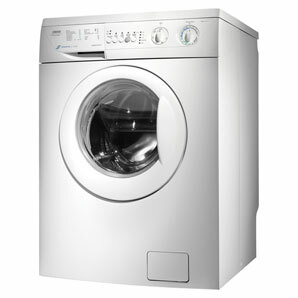 Most washers wont spin if water is still in the tub, if the drain pump has failed or is clogged with debris. Some models have clean outs that are accessible buy the user. Additionally, most top load units will not operate if the lid is not closed; they may adgitate but not spin. If this problem arises, check to see if the lid is fully closed. If you have followed these steps and still are having problems, you may need a service technician to asssit you. The water level switch can also be an issue. A defective pressure switch can result the under filling or overfilling. The washer issues can be different: the washer overflows or the water fills too slowly; the water drains out during the wash or rinse cycle; the drum does not spin; burning or electrical smell or the clothes are damaged. In that case we recommend you to call repair service to get qualified help.